Because, dear friend, it really doesn’t matter what product you buy if you don’t make good use of it! Actually, reviewing your plans for the following day is one of my “10 Things To Do Tonight To Have A Great Tomorrow.” That being said, however, one of the biggest challenges we have these days is deciding how best to do just that: we have so. many. options! Assuming we can agree that it is important, tho, our next step is to find what best format fits our personality and lifestyle. 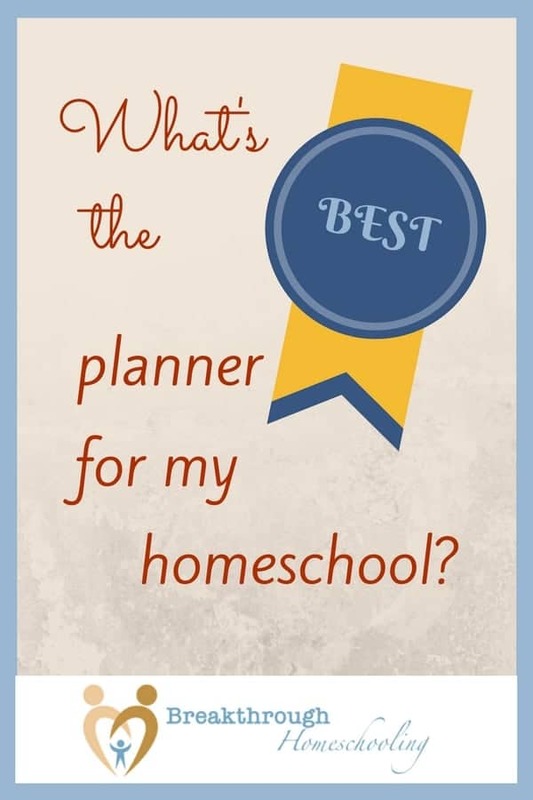 Doing a quick Google search for “best homeschool planners” opens up a Pandora’s box of results! Are you looking for an app? 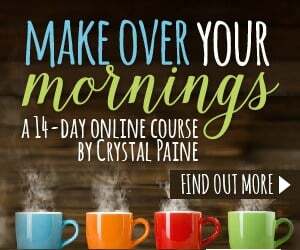 An online planner? A paper-and-pen planner? Downloadable software? Do you need reminders about upcoming events? Do you want something easily updated? Easy to carry? Something that includes family events/activities and/or something the family can also use? 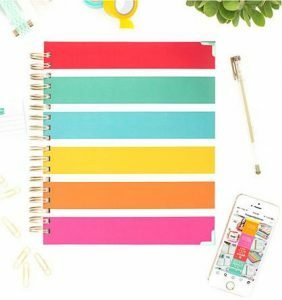 Honestly, the results are dizzying, and because productivity is “an issue” with me (and also because I may or may not have tried out quite a few of these planners here m’self) here’s the skinny on some of the more-popular planners today, in no particular order… How many of them have you tried?! Planners come in a variety of formats. Generally speaking, you can get your act together using an online tool, or go old-school paper-and-pen. Many paper-and-pen formats these days are sold as downloadable and printable PDF files, tho, so even in that case, it helps to be at least familiar managing computer files. This is part of my system today which has both boosted my productivity and soothed out the increasing stress I’d had about getting things done (and y’all, I’m talking about just getting bills paid!). This was unquestionably the most I’ve ever spent on a planner ($55), and I was a bit anxious about that. But not even halfway through the year, I don’t regret it a bit, and I’ll be getting ready to purchase next year’s book in a few months. (I discovered Ruth during my self-study about blogging productivity. Her book “How to Blog for Profit without Selling Your Soul” is a must read for any blogger!) Self-described, this planner is “designed to help you organize your whole life, not just your schedule.” And I don’t know about you, folks, but I am absolutely inspired by that big picture image, and that’s what I most appreciate about this planner. With an idea of what I want to accomplish by year’s end, I can more easily and efficiently break those goals down into actionable steps month-by-month and week-to-week. As an aside, the colorful stickers included are just enough to help this frustrated scrapbooker have a little fun without going overboard. This planner has been around for years and is an example of a product that comes as a file that you download and save on your computer, and then personalize and print out for yourself. The file itself comes with 138 pages, but you only print out what you use. Some of the pages included are not necessary to print more than once (for example, your State homeschool requirements and standardized testing results summary), while others you’ll want/need to update each year. Many of these pages work well for record-keeping on your computer. If you’re using this as a planner, however, you’re going to need to figure out how to manage the paper (most likely a binder or folder or make it a little more permanent by doing a simple comb-binding. 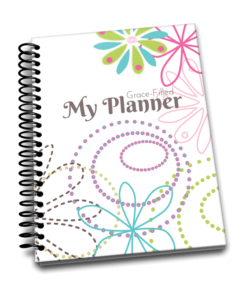 In a similar format as above, this particular planner was created with the input from blogger Kathy Gossen’s readers. 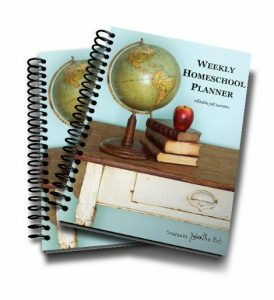 It is customizable in some pretty unique ways: in addition to the necessary calendar, and homeschool/homelife scheduling pages, it also includes planning guides for 4 different Bible studies, 3 different options of shopping lists and even 5 different formats of weekly planning pages: 180+ pages in all! There are also financial and holiday planning pages, health trackers, and contacts/emergency info/password storage pages. 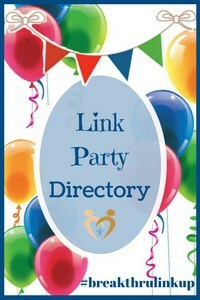 Mom bloggers will find the section on content, stats, and social media tracking especially helpful. 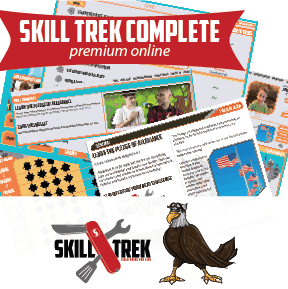 An added bonus is that your one-time purchase allows you to download updated calendar pages each year at no extra cost! Sallie Borrink probably offers the most customizable planners with which I’m familiar. 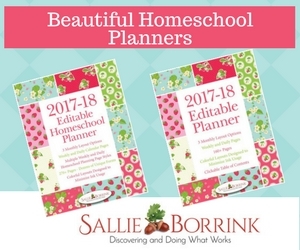 She has a general printable planner available (with 162 pages), as well as a homeschool planner (270+ pages) (which includes everything in the general planner plus homeschool-specific pages) and an editable planner (160+ pages) which allows you to update your pages using Adobe and then print them out. You can print them vertically or horizontally, and even vary the designs on your day-to-day pages. Are you a visual person? Then you need to look at her designs – so very pretty! Plus, the descriptions of each format are super-clear, so you know what you’re getting and how to use it. There is a feature to this system that really intrigued me. An e-course created by Tauna helps you get the most out of the planner. Rarely, if ever, is something like this offered. And honestly, ya’ gotta think that when people develop planners, they must have an idea of how all the pieces/pages fit together, right? It’s nice to be able to glean their vision and direction. AND she’s updated it this year with new calendar pages and a new “looping” tool. If you’re already purchased this, she offers free updates! For more info, you can read my review about this planner here. This is also part of the planning system I currently use. While this is a general household planner, the special attraction here is the ability to set your school year, add holidays/vacations/special days, plan assignments, classes, activities, lesson plans, etc. 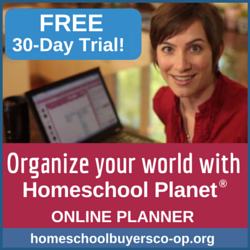 for planning your homeschool. You can add your kids to the calendar so everyone is on the same page, and even send notes to them about their lessons. Push notifications to your phone are available for your schedule, a real bonus for moms on the go. (There are many options for homeschool record-keeping here. It’s worth it to watch the short video, but their “Help” feature is a true gem if/when you need it.) There’s nothing you have to print out here for your day-to-day planning needs, although that ability is available. A heads up to parents of high schoolers: you can print out a professional-looking transcript for your student here, too. Easy-peasy if you add your child’s classes to the schedule. For more info, you can read my review about this online planner here. 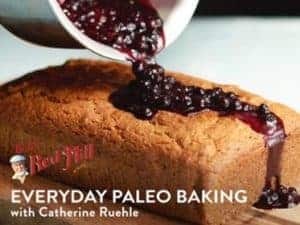 I haven’t tried this out yet, but I’m a huge fan of Pam Barnhill, so I feel confident including her product here. What especially intrigues me about this is that it is NOT a cookie cutter, pre-formulated planner! 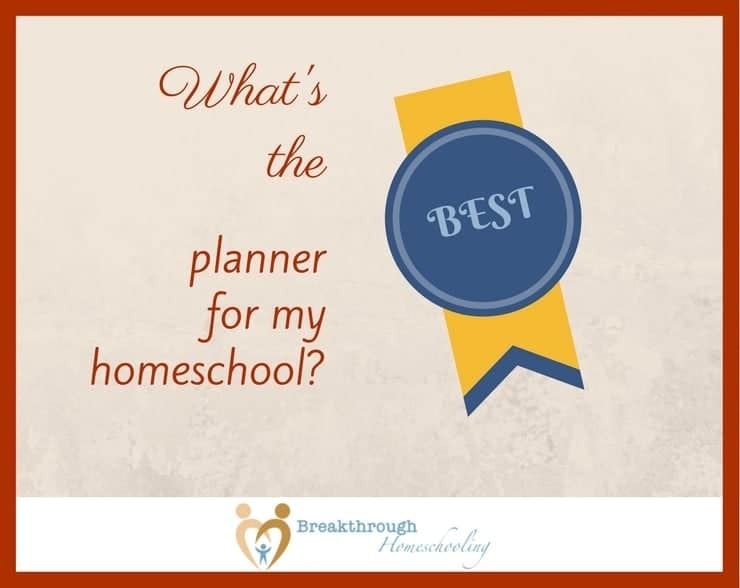 As a fellow homeschooler, Pam helps us all devise a plan that is as unique as our homeschools are unique. 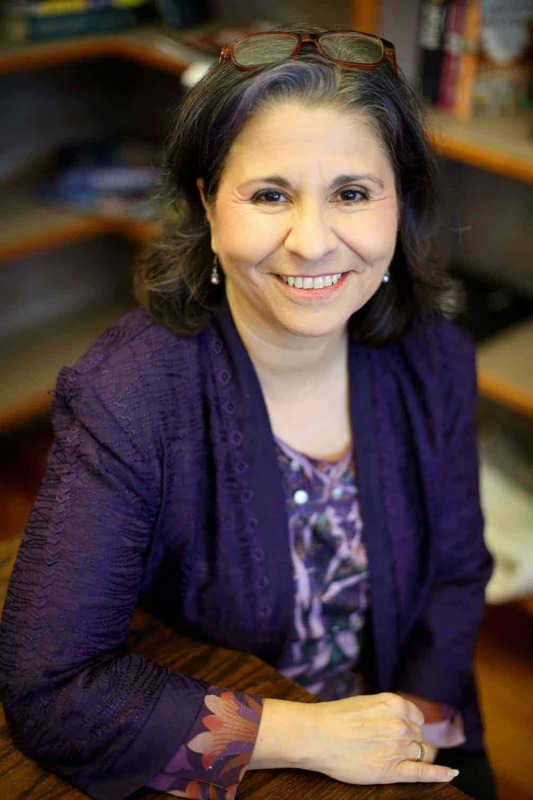 No more trying to use your neighbor’s schedule – she will help you work through your own strengths and weaknesses and family situation so you can come up with your own personalized plan of action. Create goals, inspire vision, and say “good-bye” to impulse purchases and wasted time. Well, whatcha think? 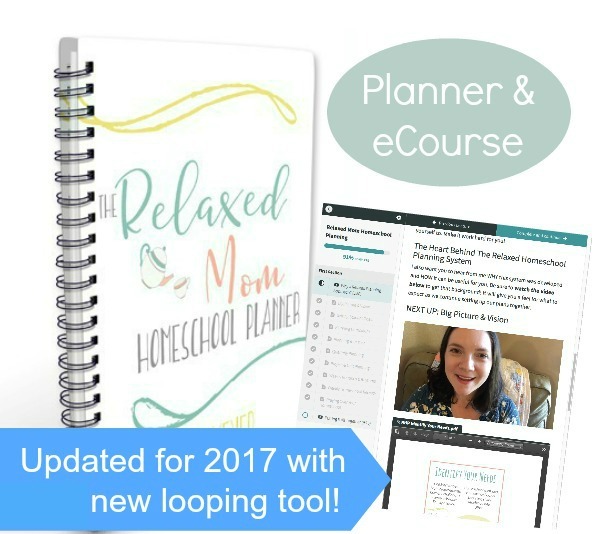 Do you use a homeschool planner that’s not shown here? What’s your fav? I’m learning all the time – share some words of wisdom of our own in the comments! Planning before executing is a must else you leave the work in-between. It is always better to be organized.